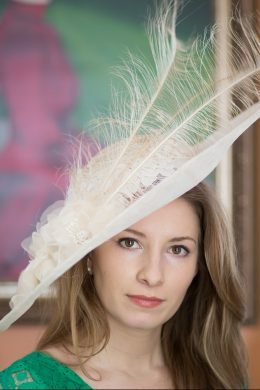 Simply Demure is our most popular shape in dazzling ivory parisisal is accented with an ivory feather mount and silk flowers. 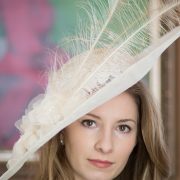 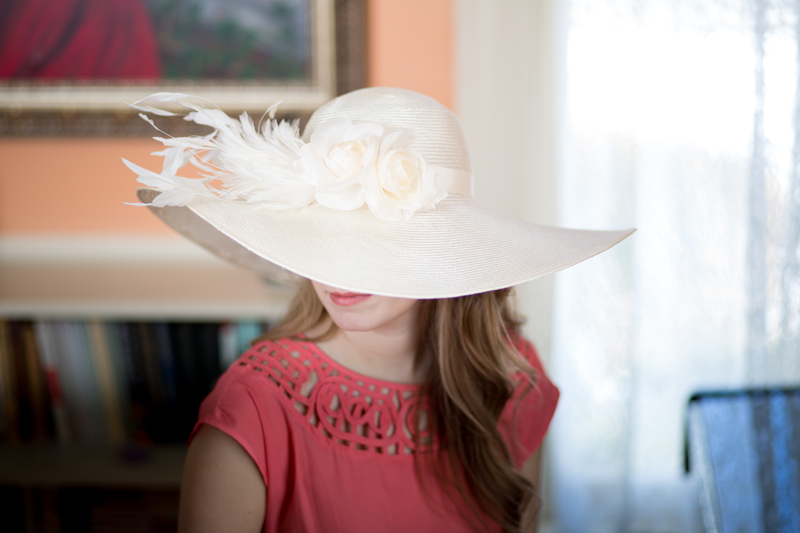 This wide brimmed hat has classic lines, movement and elegance. 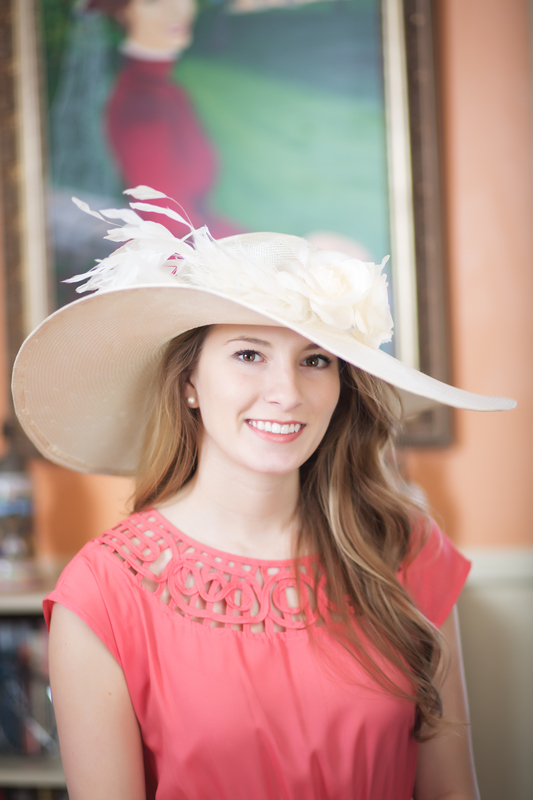 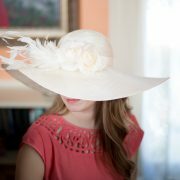 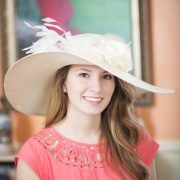 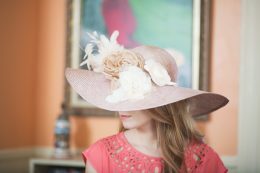 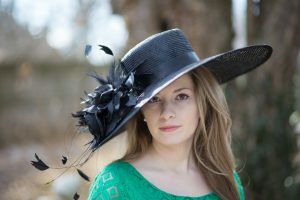 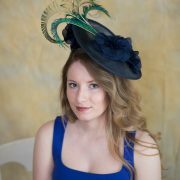 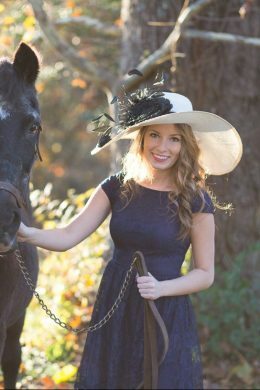 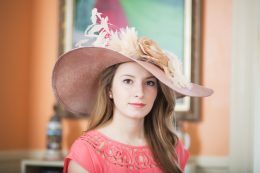 Wear to a wedding, for Easter or to the Kentucky Derby to stand out in style!